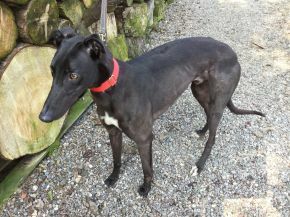 MARTY is a lovely handsome boy, black in colour with a very friendly character. He is polite and respectful...a real gentleman who walks well on the lead too. He likes people and is more than happy to approach you to say hello. He is very new but looks to be settling in very well to the new routines within the kennel. He shows good confidence and he will be a fantastic addition to any family.